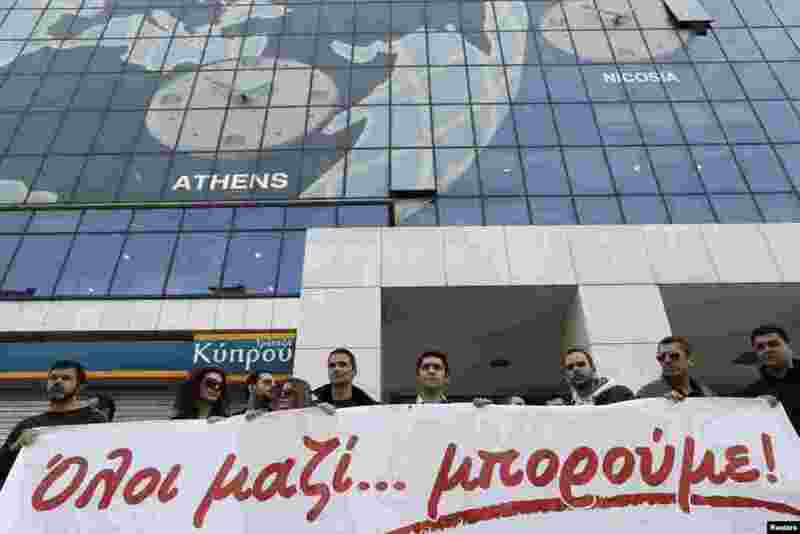 1 Employees of the Bank of Cyprus take part in a rally in solidarity with Cyprus outside the headquarters of the bank in Athens, Greece, March 20, 2013. 2 International Monetary Fund mission chief Delia Velculescu arrives for a meeting with Cypriot President Nicos Anastasiades at the presidential palace in Nicosia, Cyprus, March 20, 2013. 3 A man walks by graffiti that reads "Troika out" in the old city of capital Nicosia, Cyprus, March 19, 2013. 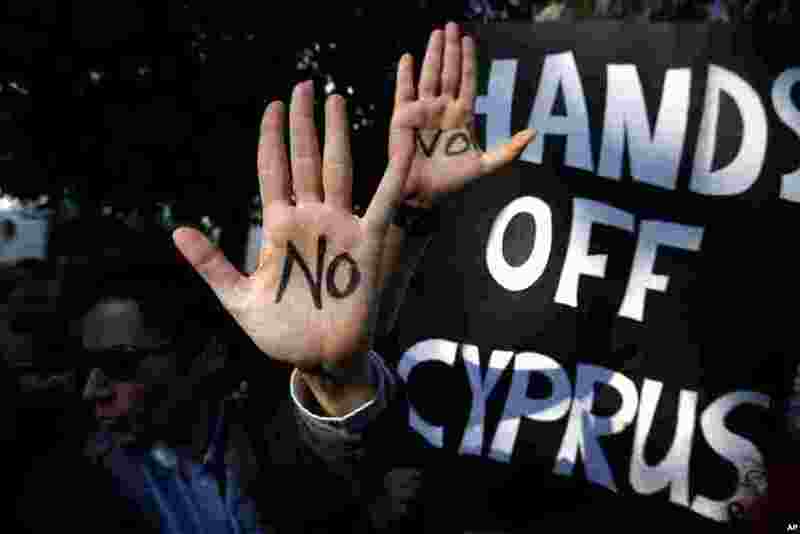 4 Protesters hold up their hands as they protest outside the parliament in capital Nicosia, Cyprus, March 18, 2013.